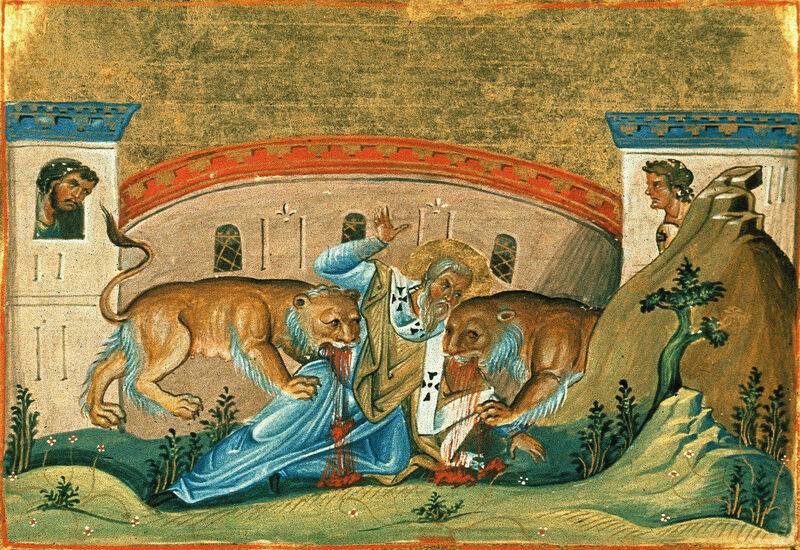 For information on St. Ignatius of Antioch, the first Church Father to use the term ‘catholic’ and a martyr who was devoured by lions in Rome in 107 A.D., please visit this link. 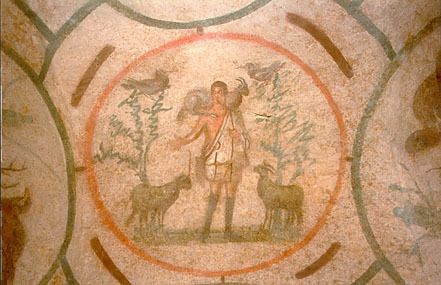 Ignatius of Antioch’s Martyrdom. Menologion of Basil II – 11th century illuminated byzantine manuscript with 430 miniatures, now in Vatican library (Vaticanus graecus 1613). The traditions of the birth and life of the Virgin Mary are derived from the Apocryphal Gospel known as the Protoevangelium of James, written about AD145. 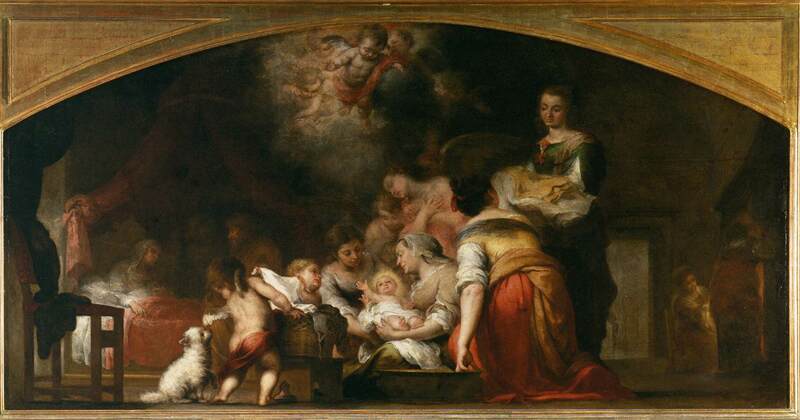 In the artworks presented on this page, we see the scene of Mary’s birth by her mother Anne. In the Catholic Church, the Feast of the birth or nativity of Mary is celebrated on September 8. This feast is exactly nine months after the Feast of the Immaculate Conception on December 8, which commemorates the teaching that Mary was conceived without the stain of original sin, though in the normal biological manner. Giotto di Bondone painted a series of frescoes in the Arena Chapel at Padua, Italy that are considered among the world’s greatest masterpieces. Giotto was among the first artists to break away from the flat, static style of Byzantine and medieval painting to create innovative works with realistic settings that are early attempts at spatial perspective. This makes him the father of Renaissance art. In this image of the birth of Mary, we can see how he has used an architectural structure to create the illusion of three dimensional space. The heavenly golden background of Byzantine works has been replaced with a blue that suggests the actual sky. The figures show an attempt at modeling and roundness, and especially in the women sitting in the foreground, we can see that there are bodies beneath the clothing. 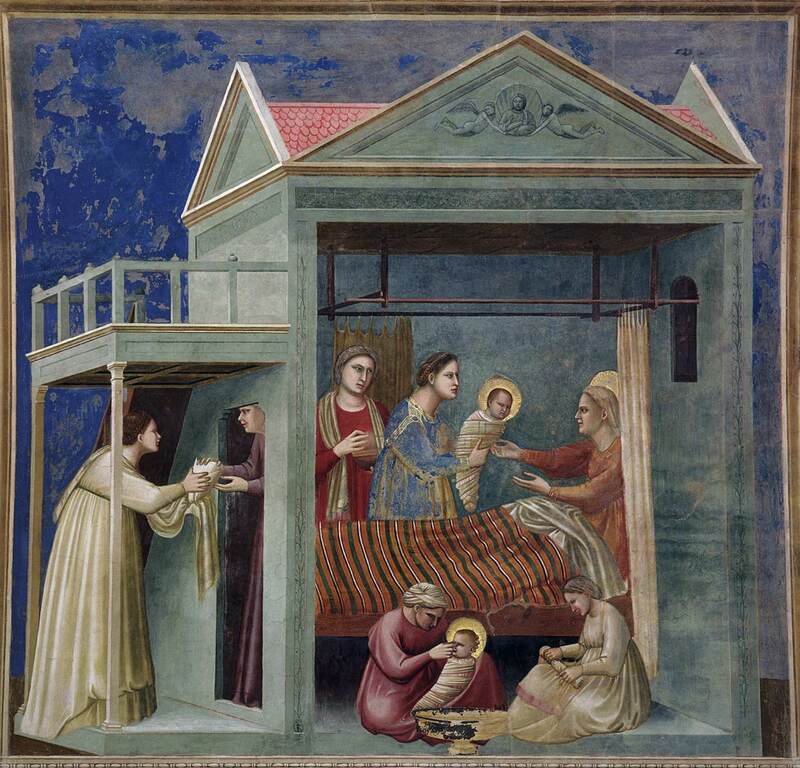 Giotto shows us at least two separate moments from the story, since we see the haloed infant Mary being handed to her mother Anne and also being cared for by the women in the foreground. The Master of the Life of the Virgin, whose identity is disputed, painted a series of eight scenes from the life of Mary including this nativity setting. In it, we see a large bed bedecked with a red coverlet and set beneath an elaborate woven canopy. The newborn infant Mary is being handed to her mother Anne by the attending women. This Northern Renaissance painting shows the brilliant colors, attention to fabrics and surfaces, and delicacy of the figures that we would expect. It also seems to show the influence of the northern masters, Rogier Van der Weyden and Deiric Bouts. The German Renaissance artist Albrecht Dürer created a series of 20 woodcuts depicting the Life of the Virgin, which he published in 1511 in book form with poetry by the Benedictine monk Benedictus Chelidonius. We look into the scene of Mary’s birth through an archway, seen at the top of the image. An angel above swings an incense censor, letting us know that we are viewing the sacred. But the crowded scene below seems anything but sacred, and we have to search for the infant Mary and attempt to make some sense of the disorder. 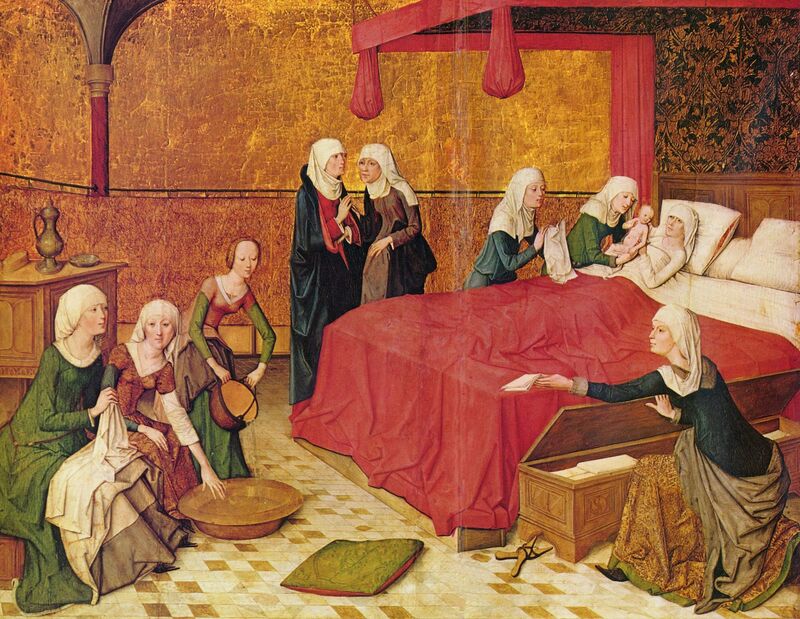 St. Anne lays in the bed exhausted from her labor as the attendants offer her food and beverage. 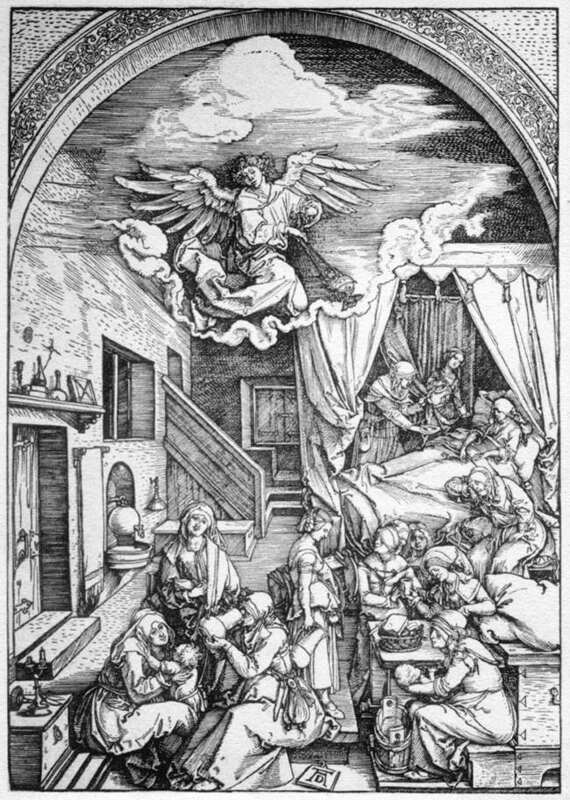 The gaggle of woman are all involved in some sort of task that attends midwifery or the relaxation afterwards, and after a search we can see Mary being bathed in the right foreground. This scene is homely and ordinary, and only the angel above lets us know that heaven is breaking into earth. Murillo, the last of the great painters of Spain’s Golden Age, depicts the religious scene with great tenderness. The baroque treatment in this work shows the influence of the Flemish school and Velázquez on Murillo after his trip to Madrid, a turning point in his career. The birth of Mary is a day of hope and joy that reminds us of the nativity of Jesus. It is through this infant girl that our salvation will be born.